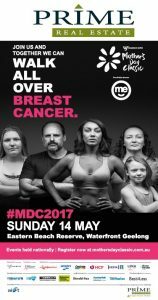 Let’s do it Again – Mother’s Day Classic 2017 on Sunday 14th May! Prime Real Estate is again proud to be supporting the Mother’s Day Classic in 2017. 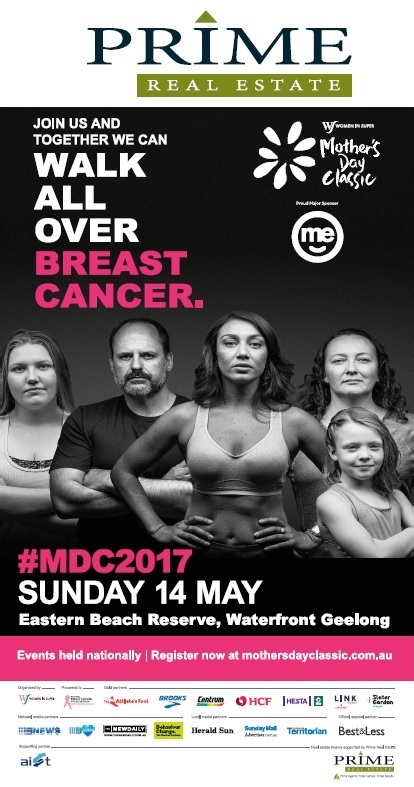 All proceeds from the Mother’s Day Classic are donated to the National Breast Cancer Foundation, a not for profit organisation that promotes and supports research into breast cancer prevention and treatment. This year you will be able to run or walk the 3.9km and 7.3km in picturesque surrounds, taking in the fabulous foreshore and all it has to offer. With spot prizes for competitors, entertainment and activities at the expo area, there is definitely something for everyone whether you are running, walking cheering or volunteering. Since 1998 the Mother’s Day Classic has raised over million dollars. From modest beginnings in 1998, the Mother’s Day Classic has grown into one of Australia’s largest national charity events and has become an integral part of Mother’s Day for thousands of Australians. For more information on the Geelong event, visit here. Prev: Auction Success in Belmont! Next: Looking for a part time Property Management role?